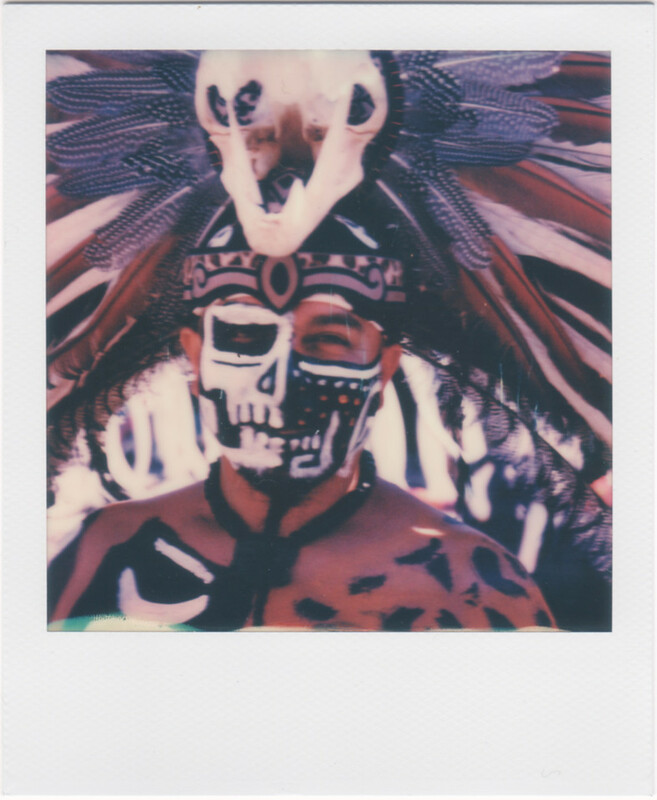 For my second Polariod Portrait, I feature Martin. All photographs are two-dimensional, of course, but this one in particular looks really flat. But flat, not necessarily in a bad way. There are only three colors in this photo, black, white and orange-tan, but they repeat in complex ways which makes an interesting visual tapestry. While it’s a portrait, it doesn’t seem like one. I noticed that these Polariods require a lot of light. The camera shoots at f8 and the film is only ISO 160. But more than that, I think the muted colors require lots of strong light to look good. In shade, the photos can look muddy. Unlike most other instant film cameras, the SX-70 is a SLR (Single Lens Reflex) which can be framed and focused precisely. Except, I find it somewhat challenging to focus, which may be due to my eyesight. My model has a matt focusing screen, some modes have a split screen focusing. While the Polaroid SX-70 is an old camera, it’s very different from the plastic almost toy like instant Fuji Instax cameras. The SX-70 was a serious and very expensive camera at introduction in the 1970s. It strikes me there is something seriously wrong with your Polaroid film or camera. Unless you are exercising your creative license in post-processing the scans, in which case carry on. Mike, I tried to match the scans as close as possible to the Polaroids. They should be pretty close.